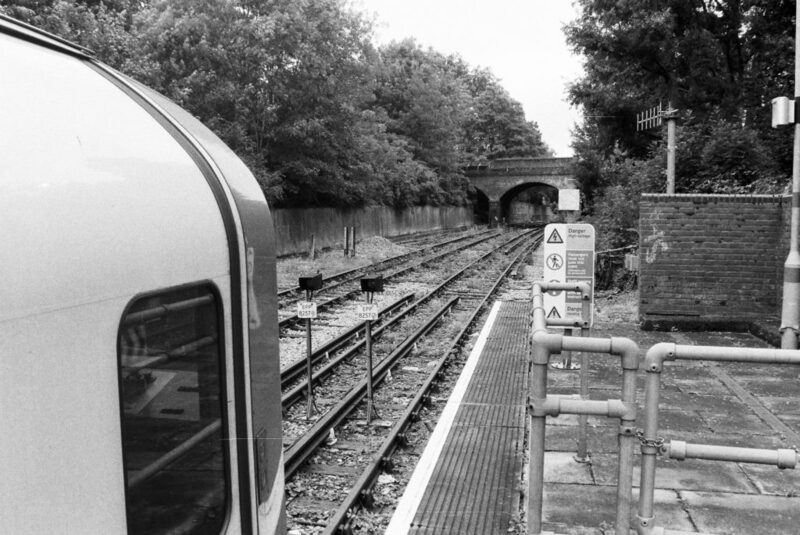 When I was in London recently, I took a Sunday afternoon trip to the Epping Ongar Railway. This is the closest heritage railway to London, but it runs through charming Essex countryside that feels a million miles away from the crowds and noise of the city. The line was originally built by the Great Eastern Railway, but eventually it fell into the hands of London Underground, and it became a sleepy branch at the eastern end of the Central line. 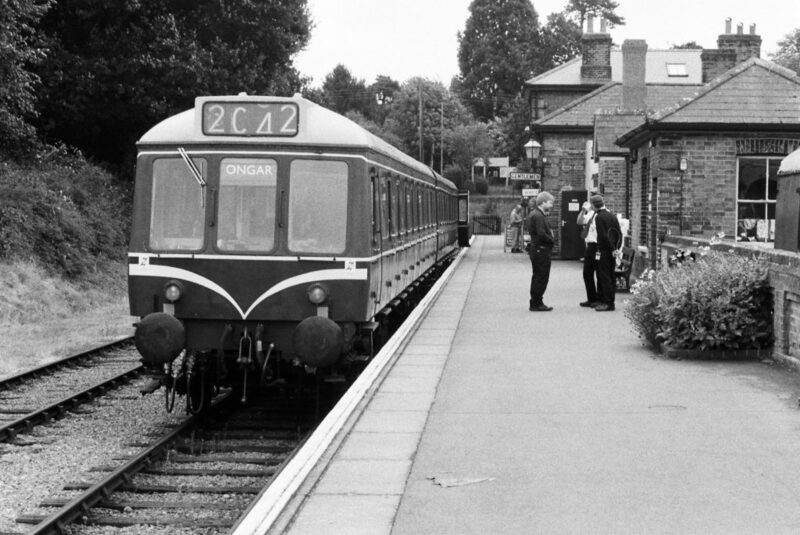 The Second World War delayed the arrival of Underground trains to Essex, and it wasn’t until 1957 that electric tube trains reached Ongar. Unfortunately, the line was never much of a success, and passenger numbers were very low. 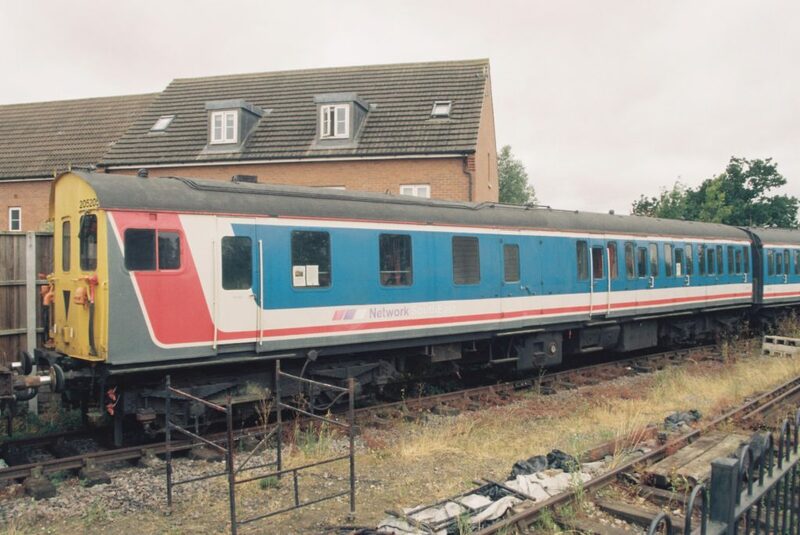 From the early eighties onwards, trains only operated at rush hours on Mondays to Fridays, and in September 1994, faced with a big bill to replace old equipment, the Underground closed the line. This makes Epping to Ongar the only heritage railway I’ve ever travelled on in its previous existence, as “proper” public transport. 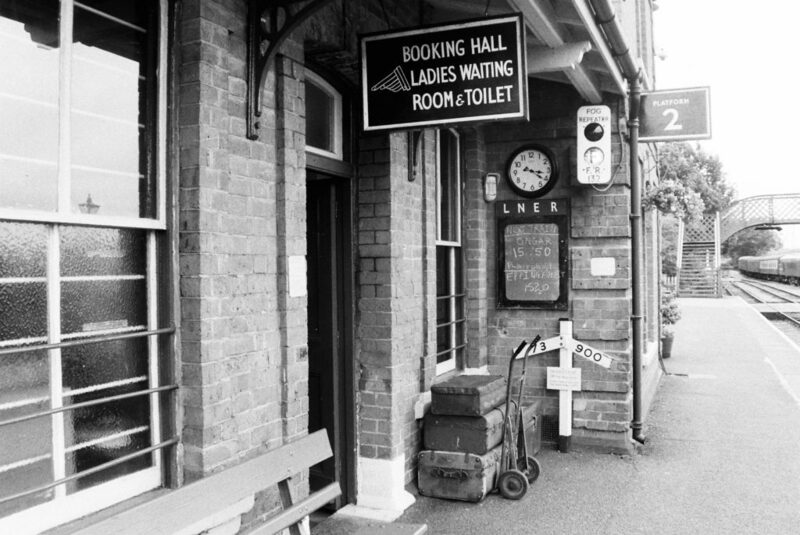 I visited sometime in the early nineties, when I had a whole train to myself, and then again in the final week, when there was a jolly atmosphere on board the crowded train as people said goodbye to the line. After a lot of setbacks and difficulties, the line has now reopened and sees regular trains, although they can’t run into Epping station, due to very frequent Tube services hogging the platforms, and the Central line’s automatic signalling system. The railway now connects Epping with North Weald and Ongar using some lovely vintage buses. I was keen to go and see how things had changed. I arrived at Epping on the Tube, and took a quick shot of the line beyond the station. That view straight ahead shows the disused tracks heading towards Ongar. There’s plans to build a new station for Ongar trains, with a footpath link to the Underground, but that may be some way off yet. As I said, there’s a vintage bus link for now, and I snapped this fine specimen at North Weald. I actually started off by getting a regular service bus from Epping to Ongar, as it got me there quicker and gave me more time to explore. Last time I was at Ongar, the place was looking somewhat shabby and weed-strewn, but this time it was looking smart and charming, with the addition of a run-round loop, extra bay platform and some sidings. Quite a lot of work had to be done to allow the return of vintage steam and diesel trains. The station building was looking very smart, and I had a chance to buy a ticket and some snacks for the journey. There was an interesting display of the station’s history, including the final Underground trains. I rode the train to North Weald and then onto Epping Forest. There’s no station here, so you can’t board or alight, but it’s as far as the trains can currently go before they hit active London Underground territory. I then had a chance to explore North Weald, which is in a very quiet spot next to some farmland, although quite handy for the village. 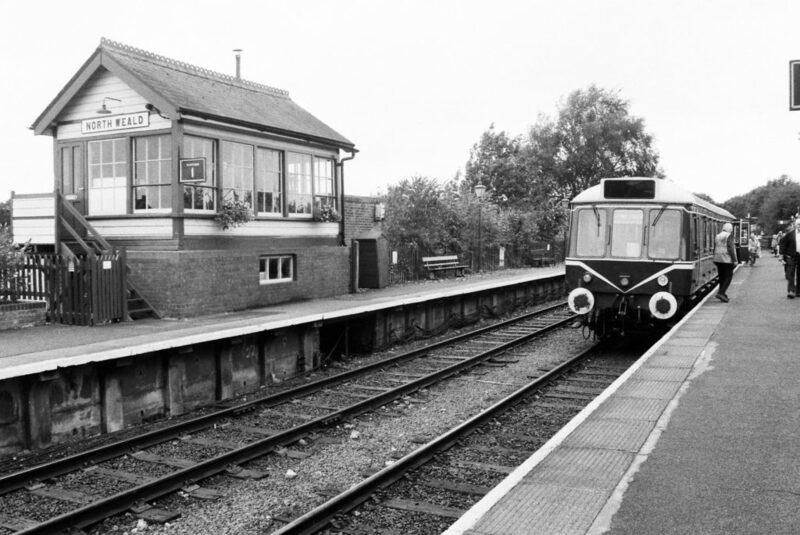 Signal box and train at North Weald. From 1976 to closure, the station only had one platform and the signal box was closed, but the restoration job here has been very good. 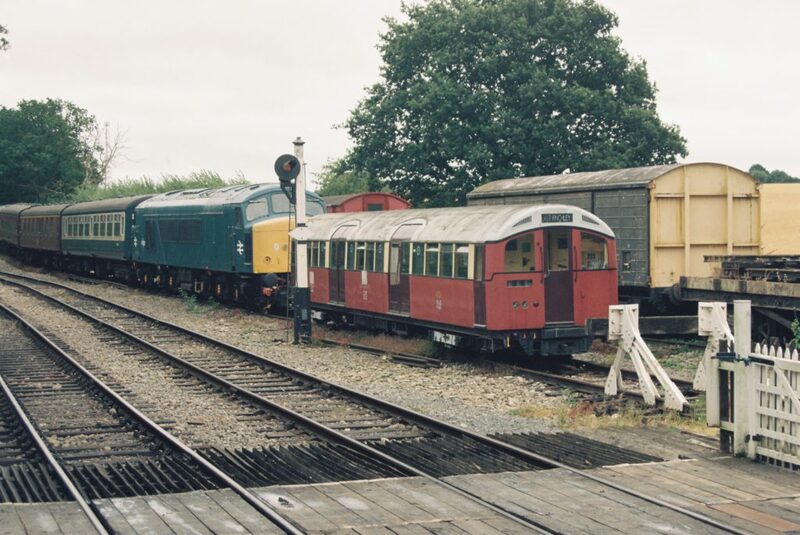 Some rolling stock in the sidings at North Weald, including an Underground car that used to be a meeting room at Morden depot. It’s going to be restored and used as an exhibition about the line’s history as part of the Tube. 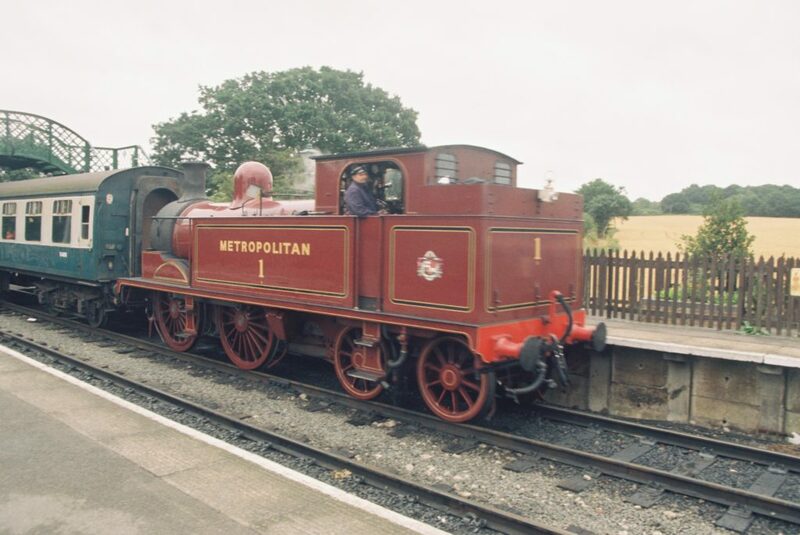 Underground steam – a Metropolitan Railway locomotive. 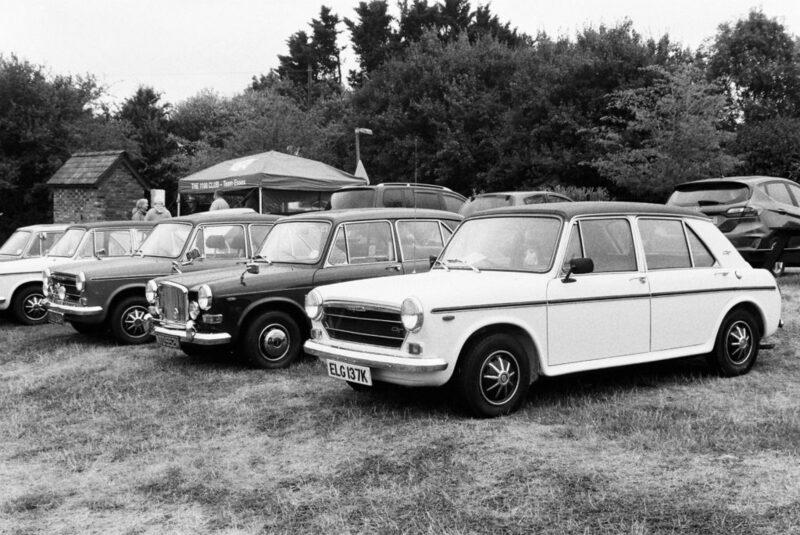 The Essex 1100 Club were meeting nearby! Fine collection of vintage cars on display. North Weald housed refreshment facilities and a good gift and book shop too, so provided plenty to see and do between trains. Before long I was back off to Ongar, and when I got there, I was keen to see if I could find something – and I did! 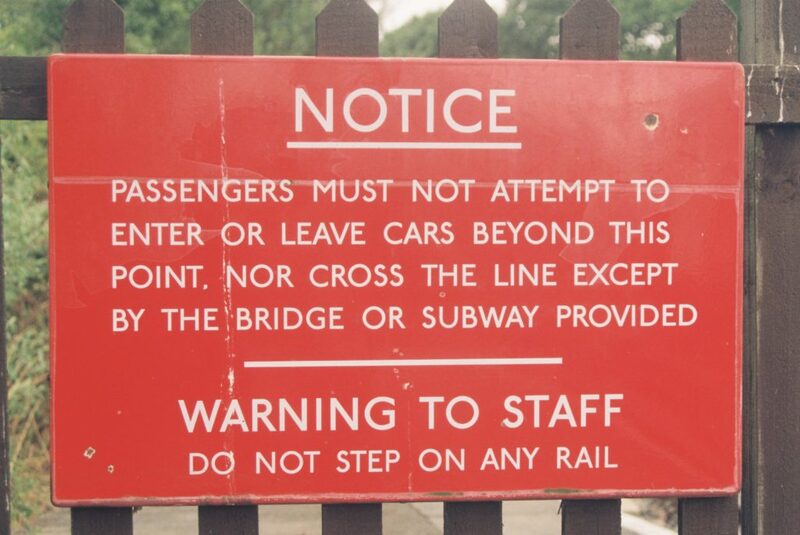 In the 1970s, London Underground carried out a project to measure all their distances in kilometres, with signs next to the track every hundred metres to help staff identify their location. 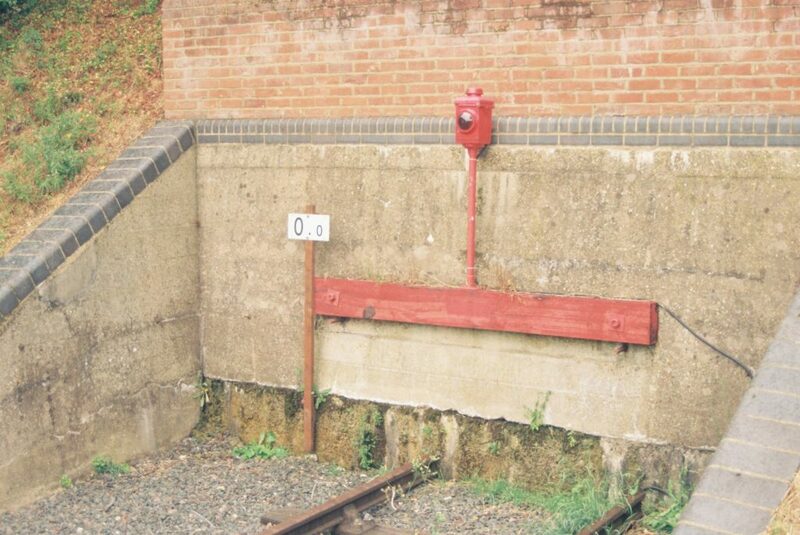 Ongar was the zero point on the network, and all distances are still measured from there, even though it hasn’t been part of the Tube since 1994. I wondered if the sign marking the zero point was still there, so I went to look for it. Bingo! Tube Ground Zero. Speaking to some volunteers, they told me the sign wasn’t the original one, but was carefully put in the right place. There’s still a lot of original distance signs alongside the track. As a huge fan of the Underground, and a former employee, finding the “0.0” sign was a special moment! It should be a place of pilgrimage for every Tube enthusiast. 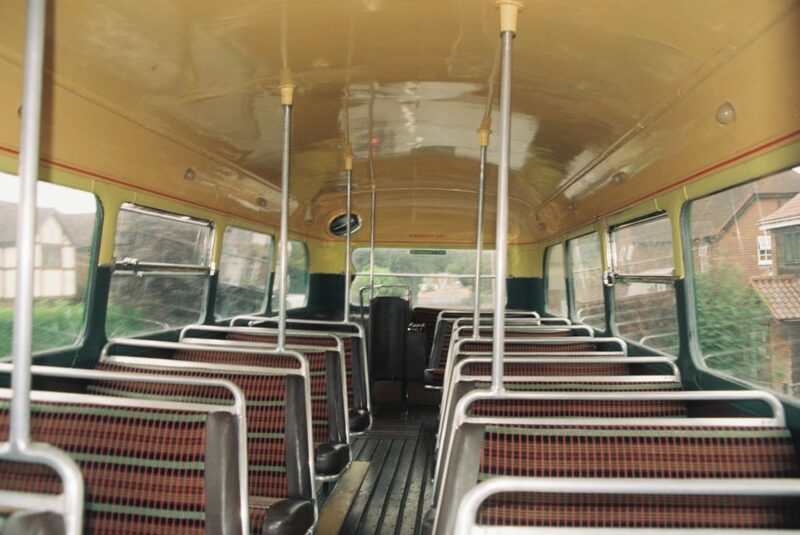 Before long, I was off to Shenfield on the previously-photographed vintage bus. 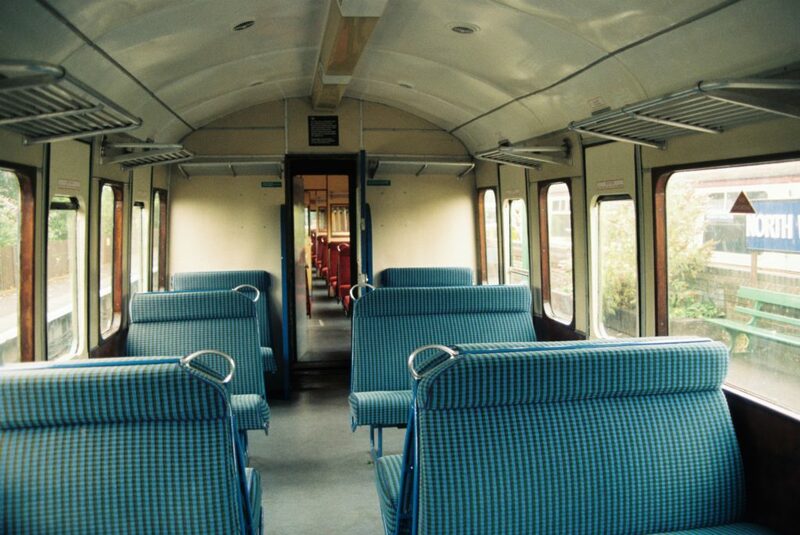 I was the only person on it, bumping and lurching through the Essex countryside in 1950s cosiness. 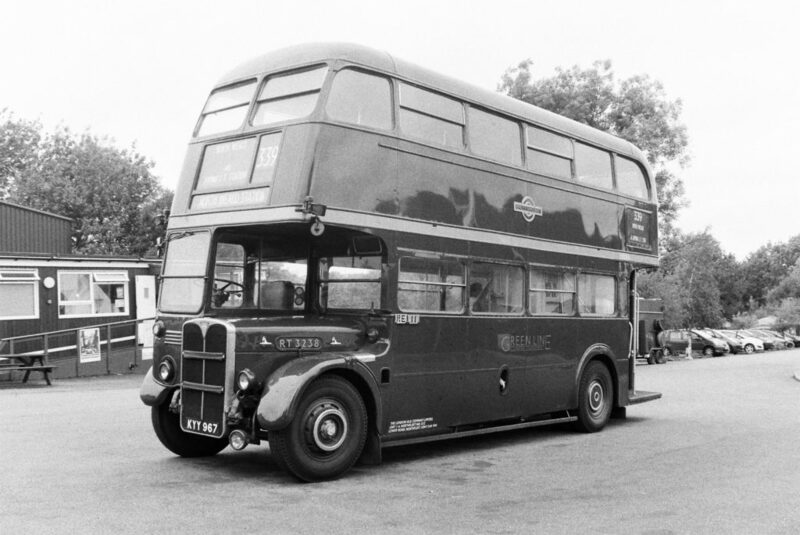 London Transport always did design a good bus. The bus passed the huge Cold War nuclear bunker at Kelvedon Hatch, which I can strongly recommend visiting – it’ll scare the willies out of you, but in a really cool sort of a way! Rumours abound that the Ongar branch only survived as long as it did due to the bunker’s presence nearby – in the event of war, it would have been necessary to get politicians out of central London quickly, but I’m not sure how much truth there is in that. As heritage railways go, this one has an interesting history, and they’ve achieved a lot in a short space of time. I had a very enjoyable afternoon, and I’ll watch future developments with interest – I really hope they extend back to Epping soon.